What Files Work Best for Poster Printing? To posterize, or not posterize, that is the question. Do you have a file that you want to posterize but are worried about the clarity? Well, never you fear, there are a few quick tips and tricks to have blurry images running for the hills. Firstly, we want to make sure the file size is big enough. We print our best posters from image files of 1000 KB or larger (700 KB will work for smaller posters such as 16″x24″.) If the file size is smaller than that, we run into a grainy or blurry look on the final product. To ensure a larger size file, always use the original file. Did you know that Facebook images are automatically downsized? This works great for uploading quickly, but not so great when it comes to posterizing. Also when images are emailed, a lot of times a smaller file is sent because it saves on data usage and is easier. While we like easy (evidence by our 3 step ordering process), taking the time and steps to get the larger file size is necessary when it comes to posters. Our next tip is regarding file types. 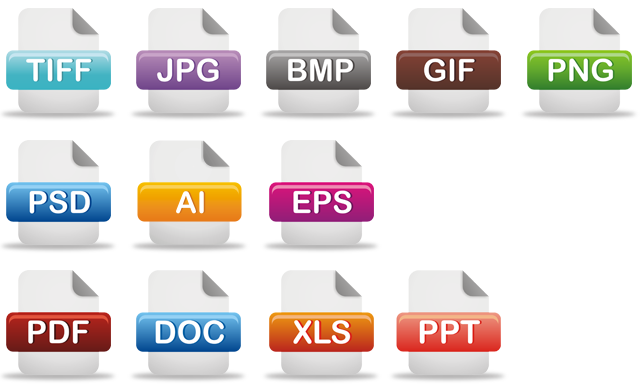 JPG, PDF, PNG, BMP, ABC…man there are a lot of different file types out there! Just look at all of the ones we can create a poster from. While all of these file types do work well, there is an ideal one to ensure a super high quality print. And our ideal file type is (drum roll please) a TIFF sized to final print size at 150 d.p.i, RGB color. With our digital printing process, 150 d.p.i is the maximum necessary resolution for perfect quality prints. Hopefully that helps a little bit, but if you do ever have a question regarding a certain file, send it on over to us at support@posterbrain.com or give us a call 800-781-3187. As always, happy posterizing!